I suspect we all have a list like this; I know I do. I love Jesus, but don’t want to give so much of my income to the needy that I can’t buy what I want, go out to dinner or take vacations. I love Jesus, but I don’t want to give up all or even part of my secular reading and tv shows in order to spend more time in prayer and study. I love Jesus, but I still like to impress others with my accomplishments — and so on. My point? I’m still pretty far from that “no limits attached” ideal of repentance. I guess this is what Luther meant in his first thesis — living a life of repentance is a life-long project. In later life, Henri Nouwen did grow closer to NO LIMITS ATTACHED. He went to work at a facility for the disabled, became a chaplain and caregiver, and always took one of the residents with him on speaking engagements. He repented of his pride and neediness and He did allow God to change him. With God’s help you and I can do the same. “How can we embrace poverty as a way to God when everyone around us wants to become rich? Poverty has many forms. We have to ask ourselves: ‘What is my poverty?’ Is it lack of money, lack of emotional stability, lack of a loving partner, lack of security, lack of safety, lack of self-confidence? Each human being has a place of poverty. That’s the place where God wants to dwell! ‘How blessed are the poor,’ Jesus says (Matthew 5:3). This means that our blessing is hidden in our poverty. “Traveling–seeing new sights, hearing new music, and meeting new people is exciting and exhilarating. But when we have no home to return where someone will ask us, ‘how was your trip?’ we might be less eager to go. Traveling is joyful when we travel with the eyes and ears of those who love us, who want to see our slides and hear our stories. Who is My Spiritual Director? Henri Nouwen was a Catholic priest, author and teacher. Offering spiritual direction was a regular part of his life. 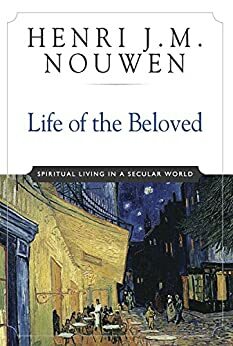 In this posthumous book, two of his students use notes from his course in spiritual direction as well as some of his unpublished writing to outline Nouwen’s thoughts on the spiritual life. At the end of each chapter, you will find questions and exercises for journaling and reflection. 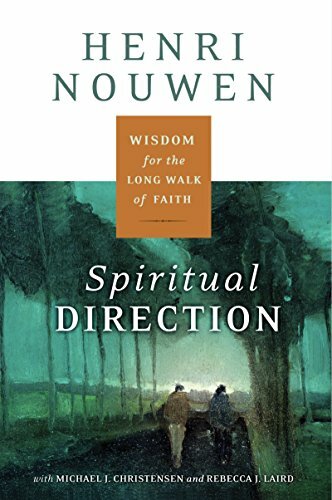 This book is a wonderful introduction to the idea of spiritual direction, and the exercises, suggestions and questions it offers are a good starting point for anyone interested in going deeper. PS. You can purchase a Kindle edition from Amazon for only 1.99! This icon of the Holy Trinity was painted by the monk Andrei Rublev. It depicts the three visitors to Abraham, each angel symbolizing one of the persons of the trinity. When you look closely, you will notice that each figure wears different garments, but has the same face. Many comment on the feeling of invitation and inclusion experienced as you spend time gazing at this beautiful image. I have a number of icons, and this is definitely my favorite. It gives me a sense of peace and light. Here’s a quote about this icon from Henri Nouwen’s book, Behold the Beauty of the Lord. Is there a Christian painting or work of art that has affected you deeply? If so, please comment and tell us about it.